The 1851 Census shows half-sisters Hannah [aka Anna] and Sarah Ann BACKLER living in Kingsland Road Ironmongers’ Almshouses. They were two unmarried daughters of the 14 children of Sotherton BACKLER (1746-1819), who had been Clerk to the Society of Apothecaries. Hannah BACKLER, daughter of Sotherton BACKLER and Frances nee HARRIS: Hannah was christened on 11 June 1780 at St Ann’s Blackfriars, on the same day as her brother John (see previous blogs for his story and those of is children). Given the christening dates of the previous two children, Sotherton (1778-1786) and Frances (1779-1833) and the marriage date of Sotherton and his first wife Frances HARRIS on 11 February 1777, it seems likely that Hannah and John were twins. Sotherton and Frances were married at St Mary’s Stoke Newington. Witnesses were Hannah HARRIS [mother? sister? ], John FREEMAN (most likely husband to Sotherton’s sister Ann, who married a John FREEMAN in 1770), and Nathaniel JENNINGS. Frances (Harris) Backler presumably died around the time of, or just after Hannah and John’s christening date. I have not succeeded in finding anything about Frances’ origins, nor a date for her death or burial. I also have no further information about the other two children of this marriage, Sotherton and Frances (who was buried at Bunhill Fields in 1833). Sarah Ann BACKLER, daughter of Sotherton BACKLER and Hannah nee OSBORNE: Sotherton married his second wife, Hannah OSBORNE, in Bocking, Essex in 1782. (I have not seen the record itself, and so I do not know the name of Hannah’s father, which I suspect could be Thomas Osborne (July 1796 – November 1796) – the name of one of Sotherton and Hannah’s several short-lived children.) Together they had 9 children, the first-born being Sarah Ann, christened on 10 August 1783 at St Mary’s Stoke Newington, as was her next sibling, my 3x g. grandfather Samuel BACKLER, on 18 August 1784. All the subsequent children were christened at St Ann Blackfriars, neighbourhood church to the Society of Apothecaries. Mary (1791- 1860) to John James Joseph SUDLOW, a lawyer. They had very many children and descendants and will feature in a future blog. Death of their father, Sotherton BACKLER: I have already described in a previous blog how, at the time of Lord Nelson’s funeral in January 1806, their father Sotherton had just been appointed Clerk to the Apothecaries, having been acting Clerk for some time. It is possible that he was on the Society’s barge in the funeral procession from Greenwich to Westminster, but in any case, the three young women would surely have viewed the funeral procession as it made its way to St Paul’s, as well as the procession of barges along the river. Their father Sotherton died intestate in 1819. Administration was granted to his oldest surviving son, John Backler (as noted above, possibly Hannah’s twin), and on 26 October 1819 the Minutes of the Court of Assistants of the Society record a letter from Mr. John Backler, son of the late Sotherton, requesting that the sum of £50 be granted to Frances and Anna [sic] Backler, Sotherton’s daughters. This was duly agreed, and letters of thanks from the recipients were recorded at the Court of Assistants on 21 December 1819, after which there is no further mention of the daughters in the records of the Society. The oldest daughter Frances (who died in 1833) does not appear to have needed this extra sum. I wonder why. Census returns for Hannah and Sarah Ann: The 1841 Census shows that Hannah, age 60, was living at the Geffrye almshouses. I cannot find a record of Sarah Ann in 1841, but both are shown in residence in 1851 at Jeffries’ Alms [sic], both ‘Almswoman’, Sarah A, 67, at number 5, and Hannah, 71, at number 14, the house which has recently been restored to show how the residents might have lived, in the 1780s and 1880s. 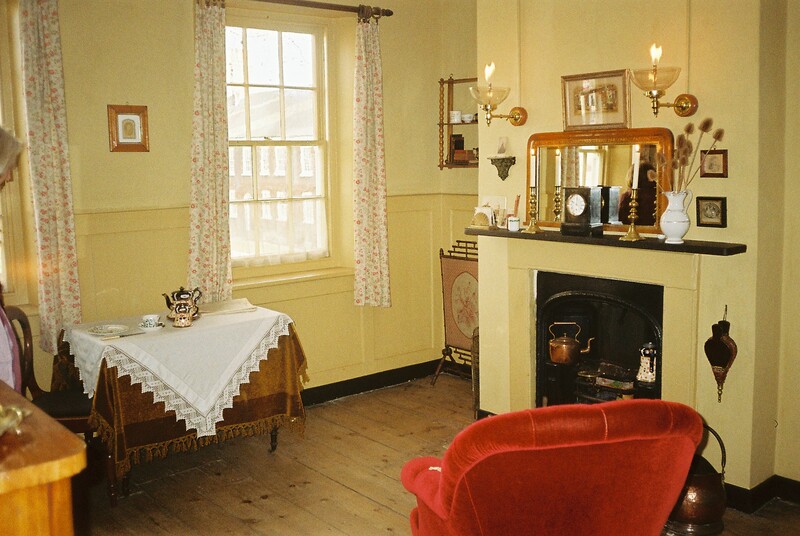 The picture here shows the interior as it could have been in the 1880s. Sarah Ann’s death was registered in 1857, but Anna [sic] Backler appears in the 1861 Census, aged 82, shown as ‘formerly Companion’. This time the house is not numbered on the census return, which helpfully indicates the former status of residents, many shown as ‘widow of …. [citing their late husband’s occupation]’. Hannah’s death was registered at the GRO in 1870, presumably while she was still resident. Family connections with the Ironmongers – introducing the Pellatts: There was a family connection by marriage to the Worshipful Company of Ironmongers. Hannah’s half-brother, and Sarah Ann’s brother Samuel BACKLER married in 1810 to Mary PELLATT, oldest of the 15 children of Apsley PELLATT (1763-1826), a well-known glassmaker with his son, also Apsley, who later became a member of Parliament. Mary’s grandfather Apsley PELLATT (1735-1798) was Master to the Ironmongers in 1789; his son Apsley (Mary’s father) was a member of the Ironmongers, and another son Thomas was clerk to the Ironmongers. Whether this family connection had anything to do with Hannah and Sarah Ann ending their days in the Ironmonger’s almshouses remains to be discovered. 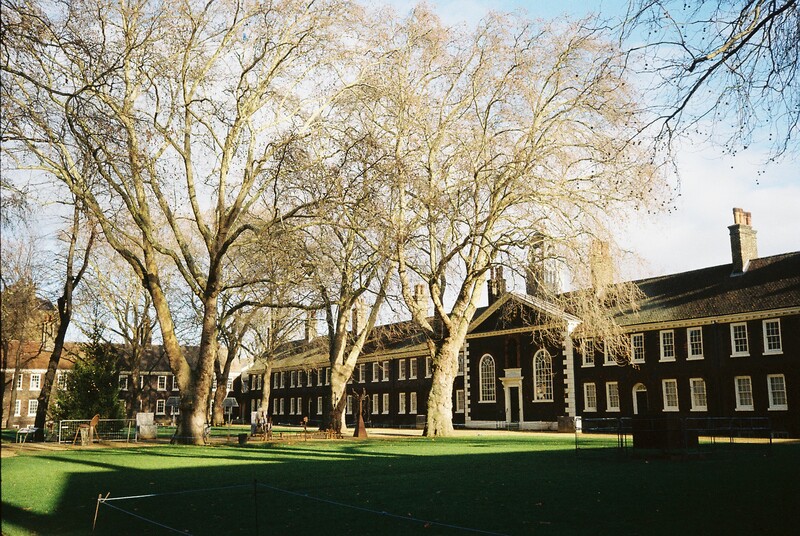 For much more detail about the history of the Almshouses, see ‘A History of the Geffrye Almshouses’ by Kathy Haslam, published by the Geffrye Museum – no date.